WARNING: I have not double-checked this text, to assure myself that it is all correct in its content, [as Fr. Herman had the bad habit of changing texts to suit his agenda of events], from what all that I personally knew back then. Sometimes, [later defrocked] Fr. Herman Podmoshensky added his very self-serving and off-balanced and untrue biased versions of people and of matters, basically to divert attention from himself, and to cover up his own failings and unrepented sins, and he later on, developed a strong hatred towards ROCOR and our then Archbishop Anthony (Medvedev) of San Francisco, [the successor to Vladyka John..... who had given Platina Monastery and its two founders, EVERY spiritual and material blessing and benefit that he was able to provide them] .... and he provoked his own church and soul destroying TERRIBLE schism, after Fr. Seraphim's passing. Back then, Fr. Peter Pereskrestov [who had originally blindly defended Herman to our Archbishop Anthony..... at a time when Vladyka Anthony.... mistakenly... initially took Herman's side.... so as to please Vladyka and to make himself, Fr. Peter, look good to Vladyka] was quoted... later on.... as publicly observing as to what degree of substantial damage Fr. Herman had caused to this West Coast ROCOR diocese: "Fr. Herman has wrecked havoc in this diocese!"... pitting many faithful against each other, and people against our ['evil' as Fr. Herman claimed], archbishop, and against our entire ROCOR. etc. I was a witness... and also a personal victim.... of these things. Fr. Seraphim, I highly respect, but what all that poor Fr. Herman Podmoshensky has committed against our church, myself, and the harm he has done to countless souls -- that evil legacy lives on and on. Some of his many misguided admirers, especially I am told in Russia, even have 'icons' of him, and they pray... to him, as if he is a saint! 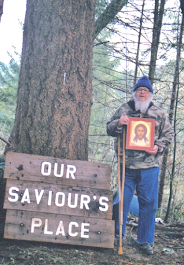 Father Seraphim of Platinum. About Archbishop John (Maksimovich). Russian text, compilation of Vyacheslav Marchenko. Vladika John was confirmed archbishop of San Francisco, and although much more needs to be done to establish peace in this diocese, at least in it there is now some kind of order. I think that work on the new cathedral has finally begun. Among our bishops, I love Vladyka John most of all, although I find that it is almost impossible to understand him. He is constantly filled with such deep peace and joy that simply being in his presence is beneficial for the soul. In recent months, I have been present several times at very acute moments, when Vladika was surrounded by worried, weeping, practically hysterical crowds (well, you know what the Russians might be like! ), But he was exactly the same as always, calm and even joyful, denying all angry accusations against other bishops and calling everyone to spiritual peace and obedience. Regarding Metropolitan Philaret and Archbishop John (Maksimovich) in China: it is formally correct that for several days in 1945, after receiving false information that Metropolitan Anastassy had died, the Synod was dissolved, the church situation in Russia as a result of the war was completely changed, and the Patriarch was elected legally, they really remembered Patriarch Alexy, but when the connection with Metropolitan Anastassy soon reappeared and the truth became known, they both became such convinced opponents of Moscow that Moscow still remembers the archbishop John as the real leader of the schism in China, and Metropolitan Filaret with his statements and sermons against the Soviets and the Patriarch constantly endangered his life. We were fortunate enough to receive the Holy Communion in the Tomb of the owls. John on the last week, on the fourth anniversary of his reappearance and once again yesterday, when Vladika Nektarius visited us on the feast of St. Sergius and Herman. Thanks God! We noticed in San Francisco that every year the tomb of visitors is less and it seems, unfortunately, that the Russians forget it and that in a few years, the code will leave the older generation - those who knew it, among them almost disappear the memory of it will then be preserved, mainly by those not Russian, most of whom did not know it, who are familiar with it not because of personal communication, but because of its holiness. Such inscrutable ways glorify God and His saints. Our future here is in the hand of God. Everything that has happened has so far failed to fit into our consciousness so much that we do not even dare to dream about the future. We are trying to go forward step by step carefully, so as not to fall, and trusting in the prayers of Bishop John, who is sure to be with us right now - these days we even saw the fulfillment of two prophecies (if it is not too bold to use such a word) that he made us. I hope you will carefully read our new "Orthodox Word", where there are two articles about the catacomb Church. Then you will see that not only we in the free world, but also those there (those who deserve the right to their judgment by the torments experienced by them for Christ and faith) do not accept the Moscow Sergians. And, perhaps, then you will begin to understand that our uncompromising rejection of the consent of the Metropolia [the American Orthodox Church] with Moscow has nothing to do with the theoretical concepts of "canonicity," but are part of the very life foundation of our Orthodoxy; this agreement is not anticanonical - it is a betrayal of the Russian Church and its new martyrs. You can not imagine what deep sorrow our "autocephaly" has caused us. And if now the representatives of the Metropolia will deny the existence of the catacomb Church (we assume that they will, for this is Moscow's "line" for the protection of modern documents and information in the Soviet press), this will only be another confirmation of that instinctive "defense mechanism" The Metropolitanate fervently defends Sergianism with its entire propaganda line. And if it were not possible to find a single catacomb Christian, this would not change the truth about the catacomb position in 1927, confirmed by numerous documents, and would not make Sergianism true or Orthodox. And whatever you say about the "certain circles" of the Synod, I can assure you that our bishops and our priests and the most sincere believers think just like we do. Of course, Bishop Nectarius thinks so, no matter how polite he is on the phone; so, and extremely hard, thought Archbishop John (Maksimovich). You came and saw with your own eyes the desert, which the Lord and Vladyka John gave us in storage. Only thanks to the help of Bishop John, after our fervent prayer for him, we managed to find this land. Will there be a missionary community here with a greater or lesser number of people, or will we remain "two abnormal monks in the forest" - we are ready to accept everything the Lord will send us in the continuation of the business that Vladyka John blessed and that brought us here, namely, the mission of the Orthodox printed word. Maybe we do not know anything about the monastic life, but nevertheless we are firmly convinced that in the Church of Christ, a legitimate punishment from one of the higher ecclesiastical persons should be conducted with mutual confidence and end in peace for all whom it concerned; I myself happened to be present at several occasions when Bishop John punished someone, and I always felt the correctness of punishment and the benefit from it. "Orthodox Word" can not be censored: Bishop John blessed us to print without censorship, he only made separate proposals, and we came to him to consult on dubious points. "Obedience" (for the sake of worldly commission) is spiritually illegal, which is quite obvious. We are disciples of Vladika John, who from the very beginning blessed and inspired our work and, we firmly believe in this, spiritually and now with us; in fact, this is his blessing we attribute to all the successes that we have so far achieved. From him we learned that the spirit is above all canons, church discipline, etc. There is something terribly wrong if, due to obedience, loyalty to the letter of the law or something else, which in itself is not bad, the spirit of a person is crushed and depressed. "Orthodox Word" and our missionary work on printing, which we have carried out for seven years with great effort and sacrifice, in all being obedient to the Church and to each other, so that none of us has ever "exercised our will," and we obeyed rather to each other and to the common cause that united us. Without this, we would never have survived; but with this and with the blessing of Bishop John we have lived for so long, and now, it seems, the Church calls us to expand our work and bring even more benefits. We rejoice, knowing that spiritual fruits grow only on a narrow and difficult path, and that the Lord and His saints, the Reverend Herman and Vladyka John, are with us in everything. It takes a lot of imagination to understand what will happen if we accept the "course" of Vladyka A. All our "features" as an independent monastic institution will be destroyed. Already, when Vladyka A. serves here, he forbids to commemorate the "faithful Kings" in the troparion of the Cross - "The Synod approved another text," but Vladyka John left us a different tradition, which almost nobody except us observes; our right to observe the tradition of the Spruce Island to celebrate the second feast of the Reverend Herman on November 15 will undoubtedly be destroyed, as an example of "samochiniya"; if Bishop A. ever learns how much we "irritate Athenagoras" in the "Orthodox Word" it will also be censored; Any special veneration of Bishop John, especially in Russian, will encounter obstacles, as too "controversial," etc., etc., etc., etc. If we give in at least an inch at the beginning, we will end with a completely soulless and meaningless "obedience", unable to inspire anyone else. We agree - let the world bury their dead, but Vladyka John sparked a spark in us, he entrusted us with a mission, and we will be faithful to it until his death. In spite of everything, we will follow the precepts of Bishop John and, if necessary, we run to the uttermost wilderness or become "holy fools" in order to remain faithful to Vladyka John. Thank God for everything! In all our trials, we are increasingly aware that something is happening that is beyond our understanding. One God knows what will end, and everything is in His hands. All the more clearly we see the idea that the "opinion of the Synod" does not place special hopes on our future. In February, Archimandrite Cyprian wrote from Jordanville, advising us to pack our things as soon as possible and come to Jordanville, because we are in danger of falling into charm, and Jordanville is dying, and in ten years there will be no one left to continue the work. Recently, Father Vladimir also began to hint that it would be best for us in Jordanville, and Vladyka Laurus last year also stressed how they need people there. With all due respect to Jordanville, to whom we are absolutely devoted, we are so dear to the blessing of Bishop John to go the other way, that the opinion of these revered fathers we can only perceive as "temptation." Now that our very existence is in jeopardy, we are more convinced than ever that the path to which Vladyka John has blessed us and inspired us to walk on it is true, and that by his prayers and according to the will of God we will walk this path through all suffering , we accept martyrdom, if the Lord calls to us. The fact that we had to endure such brutal attacks only convinces us that the devil wants us to abandon this path, because he is faithful. We are weak and sinful, and what we have undertaken far exceeds our strengths and our spiritual abilities. Nevertheless, the Lord extends His mercy to us, and with difficulties and sorrows we are moving forward, confident that He is with us, and Vladyka John too. Praise God for all His deeds! Do not for a moment believe that we will leave the path that began with the blessing of Bishop John. We are moving forward, trusting in everything in God, according to the direct monastic path that Vladyka John predicted when he called our Brotherhood "the reflection of Balaam" and when he told me in response to my thoughts about our hopes for a missionary monastery far from the city: "I I also believe that in California there will be such a missionary monastery. " By God's mercy and the prayers of our patrons, the Reverend Herman and Bishop John, we continue to exist and hope to expand our printed activities. Because of your situation, our contacts with you will have to be "informal" for a while. With the Moscow Patriarchate, of course, we do not support communication for reasons of principle; but we know that you can not afford it in your present situation, and not because you are "principled" against them against us, but rather because of the influence of circumstances. As you see from the "Orthodox Word," we are faithful to the position of the Church Abroad, but sometimes the living soul is entangled, so to speak, in the force of circumstances that threaten to strangle it, and then it would be a pharisaical sin not to offer it if it is possible, at least, encouragement. This covenant we received from Vladyka John, from whom we also learned that with Christ, not all the "hopeless" situations are really as hopeless as they seem ... I think you understand all this well enough, because you yourself, like us, are an "orphan" Vladyka John! And in what form, based on all this, there will be our contacts - this Lord, of course, will guide us with the prayers of Bishop John! We only know that the Lord does not want the living souls to suffocate, and the fruit-bearing trees remain barren. In San Francisco, after the death of Bishop John, we distinctly felt that he almost alone was the spiritual force of Orthodoxy in San Francisco (or at least in the cathedral), and if at the same time he did not resist the various strength, service in the cathedral for this twenty-year period would be dangerously permeated with the spirit of the Metropolia. Among Russians, there are few possessors of such spiritual power that could counteract the spirit of the times - wherever! If our Brotherhood continues to be of further benefit, it will be provided that we independently continue the path that we have already begun, with the blessing of Bishop John, and we will not meekly accept orders from the outside. By the way, we recently found the word of Bishop Vitaly (Maximenko) during his initiation into the bishop, in which he touches touchingly on the spiritual and psychological conditions that enabled him to become a missionary of the printed word: absolute independence, when "you yourself do not bother anyone, and you no one bothers. " Exactly! And it is normal for the Church - not to change a person forcibly for the sake of purely formal and false "obedience." Thus, Vladyka John acted, and so he inspired us. If we fall into heresy or make a scandal, then another matter. We, lost in this wilderness, imagine that the bishop should be kind of like those vultures who are now constantly circling around our mountain: they are "watching" everything, but they never disturb the animals running down their business, and go down to check and clean up, only when it smells of something rotten! Soon we will release our"Orthodox Word," dedicated, mainly, to Vladyka John, openly confessing his holiness. We think that Vladyka A. would prefer that Vladyka John be revered quietly and individually, and would not speak of his holiness. If so, then he may react hostilely to this number, although we do not know. (Of course, all this would become more obvious if the Lord honored us with something to print in Russian.) Then, of course, we would only be happy to suffer for our veneration of Bishop John. We put here the "Life of Blessed Archbishop John" in Russian - it was our carefully guarded "secret project", about which no one knew. Thank God, we finished it on the eve of the day of the repose of Bishop John and brought to the Shrine before the Liturgy at 6 am. The first feedback from all, after the shock, was favorable, but we are waiting for further feedback. More than ever, we are convinced that Vladyka John and the Reverend Herman are with us, and with their help we can do much. Yesterday an unexpected visit was made by our closest Orthodox neighbors, Harvey from Reading (a Russian woman married an American, whose baptism, Bishop John, I believe was present). Mrs. Harvey knows a lot about the Lord's Shanghai days and says: "The Lord has performed so many miracles that we considered this to be self-evident, and most of them are not recorded." We have such spiritual guidelines: following the Reverend Herman, obedience to Bishop John and loyalty to his traditions and covenants, which in part means the obligation to be "the reflection of Valaam." We can not offer you old people or great spiritual gifts, we can only invite you to become our brother - the orphan of the Reverend Herman and Bishop John, together ask them for help to correct our many shortcomings. Many people from the side, as you already see, will vilify us, say that we are in the delights and so on, and you will be condemned by many. We can not justify ourselves, point to some "spiritual" qualities that we do not have, we can only imagine the fruits that, thanks to the Lord, will bring our joint work. We have from the outside enough evidence that, so far, these fruits, perhaps, are small, but nonetheless real. Vladyka John divided his day into four parts for six hours each: prayer, work, reading spiritual books and meditation and rest. Similarly, our joint life is being built, only our regime is adapted to our infirmities and needs. The active part of our day is devoted to work and prayer; no idleness. You will have a rosary and a short cell rule; In addition, you will be wearing rosaries with you everywhere, using them as your main weapon against laziness and idle thoughts, fighting demons with Jesus' prayer. It is possible that we will experience disgrace. But know that one bishop (Nectarius) openly called us to "disobedience", if necessary, by commanding us "above all to value the blessing of Bishop John," and the other (Laurus) said: "The fact that you are suffering, что делаете работу, угодную Богу... Думаю, вам следует быть терпеливыми, не предпринимать никаких демонстративных шагов, но поведением своим и своей "линией" показывать, что это (поведение и указ владыки Антония) противоречит вашей душе и неприемлемо для вас".In the meantime, we believe that our monastery does not yet have any official status and will be in a "persecuted" state until the day when we can freely exercise our monastic right to submit our own charter to the Synod and elect our hegumen. Until then, we will exist under the name "Brotherhood", created with the blessing of Bishop John. As slaves of God, we can not offer to the Lord and the Church His high spirituality, wisdom, organization or deeds, but we can offer our full determination and our hard efforts to remain faithful to the covenants that Vladyka John gave us, and to form a community that preserves his spirit , where all are open and honest with each other and help, encourage and strengthen each other in their infirmities and failures. The above rules correspond to the Charter of the monasteries of the Russian Church Abroad. We did not come here to "found a monastery," but to save our souls and print "PS" If there are such abnormal people to join us, then perhaps the Lord will bless here a real monastery, and if He blesses him, he will give us ways to nourish it, both physically and spiritually. Vladyka John really told us that he believes - there will be such a missionary monastery, about which we dreamed, but we are waiting to understand what the Lord is calling us to. Remember about Vladyka John, pray to him. He is our guiding star, and when we sometimes fall into a gloomy mood and start thinking that it is useless to go against the general opinion that, in the end, the Church is a place where people make a career, and are not inspired and inspire others, that what we do is too unreliable, that it is better to let our enthusiasm die, and let someone else tell us where we can "humbly serve" the Church, then we remember Bishop John, and everything somehow makes sense again, and "general" opinion becomes nonsense, and if this attitude continues prevail among Russian overseas, they will execute the threat of lord John, expressed in 1938, and _________. And then we return to our lives of the saints and the holy Fathers and draw inspiration from it. A few years ago I wrote short articles at the insistence of Archbishop John, who needed at least one or two pages of material in English for his diocesan bulletin in San Francisco (now abolished). I do not know if anyone has read them, and now, remembering them, I find that, despite the "feeling" that I put in them, they were somewhat "abstract", a product of thinking unfamiliar with Orthodox literature, nor with the Orthodox life. Yet for me they served as an important means of understanding and expressing various Orthodox questions and even my Orthodox "development," and Vladyka John "pushed" it. Pray to Vladyka John. Without him today there would be no "Orthodox Word." We have two kinds (or perhaps "traditions") of bishops: on the one hand, Bishops John, Averky, Leontius, Nektarius, Sawa; on the other hand, those who now, obviously, occupy a dominant position (Metropolitan Philaret can be considered "independent" and, while he is a metropolitan, I seem to see the influence of Bishop John). It can not be said that one of them is a heretic or some enemy, but, nevertheless, it seems, there really are two characteristic positions that are rather difficult to describe. One group of bishops has almost completely left for another world, and from them we inherited something that, as I fear, might in the future make us for the Synod "out of fashion", as we have already been hinted at. But, perhaps, it is too personal and in any case it is better to talk about it verbally than to write. We visited San Francisco on Friday (10/23 June) to attend the liturgy in the tomb of Bishop John; since June 19 / July 2 this year falls on Sunday, Bishop Anthony allowed in exchange to hold a single liturgy, which he allows every year, on the day of the memory of Bishop John. This is a little strange, because one day before, when on July 2 it fell on Sunday, the liturgy was without a subsequent requiem, since it was Sunday, but nonetheless the liturgy was performed to honor the anniversary. There was a rumor, and quite plausible, that Vladyka Anthony acted on the advice of the priests of the cathedral, who from the very beginning were opposed to the veneration of Bishop John and used that excuse that it was Sunday to smooth out memories of the "competitor" this year. Us, and so in general, slightly upset by the sad direction in which, it seems, Russian Orthodoxy is moving abroad, this seemingly insignificant shift of the day of veneration of Bishop John led to further reflections. Six years passed after the death of Bishop John. The spark of Orthodoxy in the Russian diaspora during these years continued to fade away, and yet there is a God given fuel to ignite and spread this spark! We thought: "Why make such efforts to limit the veneration of the explicit holy wonderworker of our time?" Why is not more than one liturgy a year in his tomb (as was the time when Bishop Anthony came, when the duties of the ruling bishop were temporarily performed by Vladika Nektarii)? why not organize regular pilgrimages? well, of course, there are some specific reasons why this is so, and these reasons are confirmed to us during our visit to Archbishop Anthony after the liturgy. Most of the time he spent on Oh, that showed in our Biography of Bishop John (in Russian) 3-4 places, about which people complained, Well, it is true, of course, that these places could be expressed or represented better, but we felt (in the same way , like you when talking to Vladyka Vitaly), that the underlying reason for these partly technical remarks is that we speak different languages, that Vladyka Antony somehow simply set aside the main thing in the matter of Vladyka John. He repeated that all this is too fresh, too contradictory, that we usually wait at least fifty years before talking about holiness (by that time, of course, our Russians will forget everything), etc. Father Herman, after all, was forced to say this: "But Vladyka John is a saint, a miracle worker!" The answer of Vladyka Anthony was: "Well, we can talk about this with each other, but not publicly!" We left with the feeling that our ruling hierarch gave us such advice (although he did not say so wordy): "Your devotion and love are praiseworthy, but do not show such enthusiasm, such zeal, do not make Lord John such a hero, even if a small group of his admirers honors him, mostly in his own circle. " What to say? We do not blame Archbishop Anthony. Obviously, he is in an unenviable position and is subjected to various pressures, he is responsible for preserving peace in his flock, and we can name one or two bishops who may not have been allowed to perform liturgies in the tomb at all. But this is the way to the extinction of Orthodoxy, to turning it into something "not contradictory," and not at all attractive to the younger generation. It is the Orthodox "heroism" of someone like Vladyka John who can ignite youth with jealousy towards Orthodoxy, but it is obvious that in San Francisco they prefer that the veneration of Bishop John would be eliminated, if possible. We left completely disappointed about the opportunity to present the"Orthodox Word" to the Russians. It turns out simply that a large number of necessary topics are "controversial" today, and that is why they expect us to step back and allow us to take up destructive moods? We are scared to think about where we would be now if all of these years the Russian "Orthodox Word" did not appear - in fact, in addition to Bishop John, there are not many bishops who would encourage us. After our first issues, when we began to receive complaints about such frank statements about Athenagoras, the comparison of the pope with the antichrist, and so on, we in some doubt went to Vladyka John - maybe we really should not be so straight? But, thank God, Vladyka John fully supported us and blessed us to continue in the same spirit. Last Friday, we visited the liturgy in the tomb of Bishop John, the people were many. Unfortunately, I think that the absence of the Liturgy on the 2nd of July indicates that among the Russians there will be no encouragement for the veneration of Bishop John: he is too "controversial", and here and there he did not very well accept our pamphlet about him. Obviously, he must be a prophet for others - for converts who themselves came to him and already glorify the Lord in him in many languages. We are strengthened in the belief that we are free and independent and the blessing of Bishop John still guards us and leads us along a certain path. We are partly saddened by the "cool" attitude of Bishop Anthony to Vladyka John (in St.-Petersburg it is considered too "controversial"), but the warm feeling of Vladika Nektarii more than compensates it. A few weeks ago, after the Divine Liturgy that he served here, Vladyka Nektarii sang "Glory" to Vladyka John with us together, and then sang to him the verses from your service (about which we rejoice and praise God! ), And he asked us to translate them into the Slavic language. This is strictly confidential, but if we correctly represent the difficult path ahead of us, the synodal "fanatics", then it may well come a day when great joy and consolation will be found in the memories that one of our bishops "canonized" the lord of John! (The number was 12/25 July). I will bow before necessity, hoping that according to the prayers of Vladika John I will heal safely (I've never flown by airplanes before). We did not tell the whole story, but the way other hierarchs treated Vladyka Savva at the Cathedral is just a shame. When he was later asked why he tolerated such treatment, Vladyka Sawa only pointed to the Sky, and at the end he was very peaceful in his soul. He wrote to us that this was punished him for helping Vladyka John (perhaps as much in the spiritual as in the literal sense). Sadly, in one of his letters to us he wrote that he had refused the idea to print the life of Bishop John in Russian (he wanted to print something in Serbian) for fear that the Synod would prohibit it, although in his last letter he noted that " that all the same is going to print something in Russian. But at the present time, thanks to the Lord, we are enjoying freedom, which he did not have, and we will not stop until we are really crushed or it becomes obvious that our business is not pleasing to God. Perhaps our insolence was born out of our completely hopeless situation: since we did not trust the "princes or sons of men," we had to be entrusted to God and the prayers of Bishop John. We strongly suspect that Vladyka John will be a "stumbling block," which, in the end, some people who trust politics and dead formalism stumble, and hopefully will learn the "lesson". In the new issue of Our Country from Buenos Aires there is an obituary to Vladyka Savva, written by Archbishop Athanasius, who was not afraid to note that "he was not afraid and did not doubt when it was necessary to convict injustice or deceit" and even that "he was a great admirer Archbishop John (Maximovich) of San Francisco ". We have just learned that Vladyka Athanasius himself, as well as Vladyka Savva of Australia, also supported Vladyka John. Of course, we do not want to divide everyone into parties or parties because of Bishop John (! ), And we also have no bitterness against anyone else - just these days it seems to be a touchstone of Orthodoxy, and those who go against him, it seems, have a generally wrong approach to the critical issues of our time. Among the Vladyka's papers there were materials for his book about Archbishop John. As we have already understood from our correspondence with him, in these materials not too many remained of those that have not yet been printed in "Orthodox Russia." (He complained to us that people in San Francisco and elsewhere simply did not send him materials when he asked for it.) We, of course, tried to get more out of what is printed in Russian, although it's still too early for us to think especially about a book. Vladyka Savva himself has now become a part of the history of Archbishop John: his concern for his memory and the bold acknowledgment of his holiness strengthen all of us, the rest, who sometimes falls into despair because of the blindly negative attitude towards him in some places. 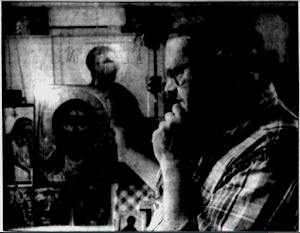 We plan to talk about Vladyka Savva in the new "Orthodox Word" and begin translating some of his materials about Vladyka John along with his own valuable remarks. We feel ourselves spiritual heirs and debtors of Vladyka Sawa, and we, of course, with God's help, will do everything in our power to collect all of his material about Archbishop John in one book. Reading the papers of Bishop Sawa, we find the ordinary complaints addressed to him about Vladyka John (this is the worst thing they can find about him!) - that he is irritable, rude, does not think about others (for example, because he comes late for services), violates the accepted order, the bad administrator, that it is impossible to understand him, he mumbles and falls asleep in the midst of the most important (mundane) discussions that priests in San Francisco consider a holiday when he is not present. I myself had the opportunity to observe most of these phenomena and can, for example, certify that on several occasions when he was "rude" with me, I was infinitely grateful to him and saw from this only spiritual benefit. In all this, I think, there is hidden an important fact for the understanding of the Lord that is not yet fully understood - that he refused to allow the Church to become a habit and, by his seeming rudeness, tried to get people out of the usual spiritual track, into which it is so easy to get. As soon as Vladyka left, everything in the cathedral became "smooth", and the priests were pleased, because now they could do and really make the Church a habit capable of inspiring someone only with the help of past wealth that was not fully spent (but will soon be!). Vladyka John taught us that the workers in the field of missionary work need to be guided and inspired, but not to push and forcibly force. Let us all continue our independent work, relying on the advice of others in case of doubt and trusting in the mercy of the Lord and that the prayers of the saints of God will help us. How well Vladyka John knew how to inspire and guide, without crushing someone's spirit and not dictating to anyone his will. Let's pray for everyone and continue our journey. We are very concerned that we have not brought to you a very important position concerning the attitude of Bishop John to missionary work. Of course, to a large extent this point should be "felt" and not explained, but please try to understand that Vladyka John was not at all "mistaken" on this issue, but, on the contrary, it was one of the most important aspects of his inspiring and holy life . One can disagree with him on some "particulars," but his basic views were correct, and he is our sample today. As I think, I already said, his rule was, first of all, to lead and inspire, and not to push and force. He did not leave the converts without guidance at all, he rather knew exactly how and when to give instructions so that it would inspire, and not crush the spirit. Some people point to the "error" of the French Church, but the fact remains that in the Church Abroad today there is a healthy French mission, and without it it would hardly exist. What is better - to inspire, to give the tree to grow and then to gather fruits only from half of shoots or, "severity" for the sake of, at once to trample a plant and absolutely to lose a tree? We took out a cassette with the Akathist the Theotokos, who sang in the cathedral in San Francisco during the service of Bishop John. It's hard to make out at least one word, but there's an expensive familiar voice! Pray to my lord John that he instructed you. Know that not everything depends on what "people" think about you, and also that in due time others will come out for you. You say that you want to "resolve your differences" with us. I will give you an example of how this is done - in the heart, not in the mind. Four years ago, Father Panteleimon visited us - before the canonization of the Reverend Herman. We asked him to make a requiem for the Reverend Herman, and he replied that he simply can not serve a funeral service for the one to whom his community prays as a saint. Notice, between us and Father Panteleimon, "disagreement," and we rejoiced! And how did we resolve our "disagreement", although we were happy with it? Father Panteleimon made a memorial service for the "monk Herman," but he performed on the newly deposed Jordanite monk Herman while we prayed for Father German Alaskinsky, who already for a long time sang a troparion, a praise and an akathist. (What a "contradiction" on our part!) And how it was "inappropriate" for Vladyka John to finish his requiems for his father Herman thanks to him! And how "inappropriate" that we both praise the elder Nazar and pray for his repose! What is this "canonization" ?! Hope on the prayer of Bishop John. In the western part of Russia there is a centuries-old tradition during the fasting to read the passionate gospels on a Sunday evening. And do not think about the "Latin influence" - this tradition was good enough for Bishop John (which is why it may still continue in San Francisco) and is also very touching. Blessed Archbishop John is with us. We attended the Liturgy in his Tomb on June 19 / July 2, and Father Mitrofan delivered a wonderful sermon saying that it is shameful for us, Russians, to treat the true miracle worker of our time so coolly when the Greeks have already printed his icon and revere him as a saint! The situation seems rather desperate. Perhaps it is not by chance that the "priesthood crisis" seems to be the hardest hit in San Francisco. Father Mitrofan said well in his sermon that "it is shameful for us, Russians, so cool to treat our Miracle Worker Archbishop John, when the Greeks have already printed his icon and glorify it!" (Previously such words were not publicly spoken!) We have such a source of inspiration and grace here, and those who honor it are actually outcast. It's no wonder that grace leaves this diocese! The fast began, and in the evenings we still sing the canon of the Mother of God, as Archbishop John did. Pray for us. Christ our Lord is with us, and Vladyka John has pushed us in the right direction (he told us that it is necessary to speak out against Athenagoras, even if someone does not like it! ), And all our trials only strengthen us in the difficult future times. God is with us! Father Theodoritos writes, undoubtedly intending this for other ascetics in Greece and on the Holy Mountain, that he, of course, regards Augustine as a saint, as the Monk Nicodemus of the Holy One also believes. Our lord John wrote a service to him and cherished great love for him. The Monk Nicodemus placed him in our eastern calendar (just as Vladyka John placed St. Patrick there). Is our American Orthodoxy so narrowed that we should be under the dictates of the "papal expert" and follow the "party line" for every intelligible question? This contradicts everything that Vladyka John taught us and what he did in his missionary works. If you want to visit us, then it would be nice for you to stop at the tomb of Archbishop John (Maksimovich), in a truly holy place (in the basement of the cathedral in San Francisco on Gueiri Boulevard), and pray to him to bring you to the way of salvation. He is our strong protector before God. Vladyka John blessed and gave the name to our "Orthodox Word" and we go forward, trusting in him. Basically, in our hearts we have peace, and we are loaded with work. We trust in the Lord and the prayers of Bishop John. Such giants as lord Averky and Bishop John still guide us, and their doctrine will remain a beacon for us in the coming days. Of course, above all, our mentors should be the giants of the older generation - Bishop John, Bishop Averky and the like. Of those who stayed in this generation, for us, everything is more dear than Lord Nektariy - may the Lord keep him for many more years! We are also very dear to Vladyka Laurus, because, despite, perhaps, some "theoretical" shortcomings, he has several invaluable qualities - simplicity, honesty, "nonpoliticized" (despite the fact that he is in the center of the Synod! ), And he is a little "not of this world". We feel that very hard times await us and the whole of our Church, and we want to ask Vladyka John to tell us what to do and how to proceed. May we continue our prayers on the right path and be firm among the upcoming trials! We ask you to pray for us, especially in the days ahead and June 19 / July 2, the 10th anniversary of the death of Bishop John. With all these troubles and rumors in the Church, we want to turn to him with a burning prayer for help in our future labors. This is the post-paschal "apostolic" time of the church year, and in the Church of Christ there are so many more apostolic labors to be done! Please, pray for us, especially on the day of the repose of Archbishop John, June 19 / July 2. We need his help to continue our journey along the path of truth in a darkening atmosphere. Our Russian book about Bishop John (200 pages), at last, is printed, and we hope that several copies will be sewn and intertwined for the holiday, to which only a week. We feel that we have fulfilled our duty to Vladyka John and Vladyka Savva (he is the author of the book), but we are afraid of persecution for her. Vladyka Savva told us that his difficulties in recent years are a demonic revenge for the glorification of Bishop John. May God give us strength to endure what will fall to our lot, and do not lose heart. Pray for us, please. We feel that all who want to remain faithful to the spirit of Orthodoxy are waiting for difficult times. The political atmosphere in the Church is now such that we actually feel like criminals only because we say the obvious, for example, that Vladyka John healed the sick and performed miracles; so we were very encouraged when one of the few bishops we addressed - Archbishop Nikon - on time, so we managed to print them at the end of the book, sent us our brief memories of Bishop John, in which it says exactly that - Vladyka John for his love and struggle, he was awarded the Lord with a blessed gift to heal those who come to him with faith. Vladika Nikon is likely to die soon - another representative of the older generation will leave, and who of the young will continue and pass on the tradition? Archbishop John taught us that every small Orthodox center is like a sprout whose normal Orthodox growth should be encouraged without straining a straitjacket of uniformity. Summer we had a quiet, but some events caused us anxiety. First we had a forest fire that came up to us for two miles [about 3.2 km], which forced us to pack all rare manuscripts and books, preparing for their evacuation (with the prayers of Bishop John, the fire at the last minute turned back under the gusts of a strong wind ); then there were two weeks of rain (not for the season! ), which began just on the feast of St. Ilia with thunder and lightning and who dumped both Herman's father and me with a cold or flu. The tenth anniversary of the death of Bishop John (described in the last "PS") caused us a new burst of inspiration. As for the phenomenon of the Orthodox saints of the West in general, then, mainly, this eagerness and interest of Archbishop John (Maksimovich) inspired us and many others to do what is in our power to tell about them and glorify them. I think that this is valuable not only for Orthodox Christians in the West, but for all Orthodox Christians, for Russians and Greeks will see that many of the lives of ancient Western saints are absolutely identical to the entire Orthodox tradition, and so such an unexpected wealth will be added to the already rich history of Eastern Orthodoxy. With regard to the preparation for Holy Communion, the usual preparation is the reading of the three canons and the akathist, as indicated in the Jordanville prayer-book, usually the night before (in monasteries it is often read for the evening for all, after "I believe ..."), and in the morning the canon before communion and prayer. If for some reason a person can not read all this, then he repents and reproaches himself and does as much as he can, if necessary, then the akathist and / or canons can be read in the afternoon or evening after communion. As for the fasting, the common Russian practice here is to fast before communion for three days, but this is actually a custom that arose with the practice of infrequent participles, and Vladyka John once said to a woman who wanted to take communion, but did not fast the night before: "But it was not lean If you regularly observe church fasting days, it's enough not to overeat and eat something especially tasty for a few days before the Holy Communion and especially on the eve, but do not try to avoid all the inconvenient dishes, unless you feel in it volume of necessity ". As for the number of participles, that in your case you should take communion as often as possible, that is, almost every time you attend a liturgy. In our skete, prayers before communion are read aloud, as in many Russian churches, during the sacrament of the priest. We were very glad to understand from reading the Decree of the Synod that the bishops noticed and appreciated our works on the compilation and printing of the Holy Herman calendar, and in particular the inclusion there of the dates of death of various hierarchs and ascetics. This last feature, as it turned out, was one of the most popular features of the calendar, there were many reviews about it, and we know that our priests serve the requiems for many of the hierarchs and ascetics mentioned there, and in some places on each liturgy names are commemorated. Further, there was not a single negative response from anyone regarding the inclusion of these names, which convinced us that the very idea of including these names really "is consistent with the general ecclesiological attitude of our Church." We did not invent this idea ourselves, but took it from the "Diocesan Bulletin" of the Shanghai Diocese when there was our Archbishop John there. In blessing the printing of the "Orthodox Word" Archbishop John wrote for the press the following words: "The prayers of the Aleut-martyr Peter, who suffered torment in San Francisco." This, of course, he gave his blessing to the veneration of the Aleut-martyr Peter, at least in the Western American Diocese, where he received martyrdom. In view of all this - that the Aleutian martyr Peter was proclaimed a holy pref. Herman of Alaska, that Archbishop John (Maximovich) publicly appealed to his prayers that our Synod of Bishops officially approved the service containing the proclamation of St. Peter to the saints and also made the Synod of the American Metropolia and that he was publicly revered as a saint without any arising from it discussions and, finally, in view of the fact that the veneration of the martyrs has always been affirmed in the Orthodox Church with a minimum of official research, since their very martyrdom testified to their holiness - we did not think that there can be some controversy or controversy concerning the introduction into the Orthodox calendar of the name of the Aleutian martyr Peter. But even so, we prudently accompanied the name of the Aleutian martyr Peter in our St. Herman calendar with the words: "which is mentioned in the service of St. Herman," thus showing that we do not trust our own judgment, but rely on the judgment of church authority (the Synod of Bishops of Russia The Church Abroad), which officially approved the service. Until you are in the Anglican church, we can not do much to somehow direct you. I would only advise you to pray fervently to God that He will show you the way how to work fruitfully in His True Church. The prayers of one of the modern saints of our Church, Archbishop John (Maximovich), are also very helpful. I am sending you one of our recent publications about him. We are both at our personal contacts with Vlad. V. found him cold and pretentious and completely devoid of warmth and Christian love, such as that of Vladika John (Maximovich), who inspired spontaneous missionary movements with these qualities alone, without claiming at all to be a "theologian," etc., etc., as Vladyka Vitaly. Archbishop John necessarily served every year New Year's Eve prayer January 1, 14, just to mark the civilian New Year in the old calendar (not in a new way - then he refused to serve a moleben, this is a robust, living "conservatism." The church new year is quite another matter, that you yourself admit, because you do not change the number of the year of September 1. This catechism [Met. Philaret of Moscow] has always been the first book that ordinarily gave the new convert, Bishop John! Pray to God (and to our archbishop John), and He will show you the way. These are letter that were NOT included in Platina's book LETTERS published in 2001. I believe these letters were first written in English, and then Vyacheslav Marchenko translated them into Russian. Because they were first in English, the machine translation from Russian back to the original English comes out very well. Looking at the source website proza.ru/2018/03/21/1816 there are more letters and other articles of interest to us. Vyacheslav Ivanovich Marchenko. 44. 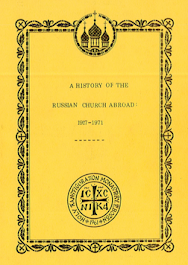 Russian Church Abroad and the True Orthodox Church. Vyacheslav Ivanovich Marchenko. V. Catacomb Church in the following years. Other works of the author Vyacheslav Ivanovich Marchenko.